Christ in heaven, as seen by St. Stephen at his martyrdom (Acts 70). 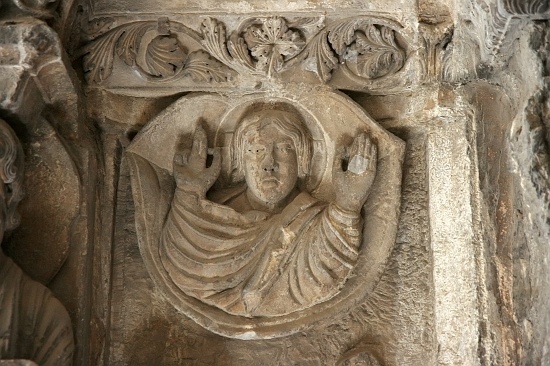 Sculpture on a pillar in the cloister, 12th century. Saint-Trophime, Arles, France.